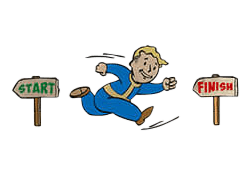 Blitz is a Perk in Fallout 4. It is associated with the Agility Stat. Rank 1: Find the gap and make the tackle! V.A.T.S. melee distance is increased significantly.